The Damned were indeed one of the earliest punk bands, forming in 1976 and releasing the first UK punk album, Damned, Damned, Damned. They were formed when drummer Rat Scabies and guitarist Brian James invited two singers to audition for their new band: Dave Vanian and Sid Vicious. Only Vanian showed up so he got the gig. They added their mate Captain Sensible on bass and became The Damned. Unlike a lot of punk bands, The Damned weren’t really political. They just sang about the same things rock bands have always sung about: rebellion, love, angst and just the sheer joy of rocking out. 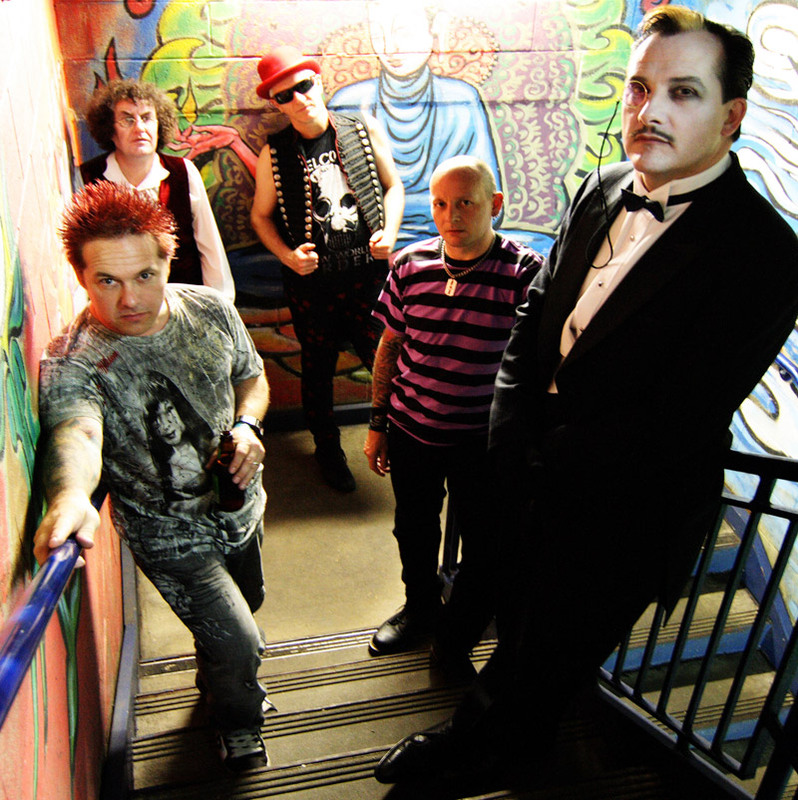 The Damned have had their ups and downs over the years, weathering the ’80s and ’90s, still performing with various lineups but always including Dave Vanian and usually one or both of Rat Scabies and Captain Sensible. A few years ago a wistful Craig Ferguson presented them on his show with Vanian looking dapper as ever, complete with a monocle.